The Jimmy Butler haircut remains to be a popular style among National Basketball Association players and fans. He is the star of NBA and stands out for his signature haircuts. 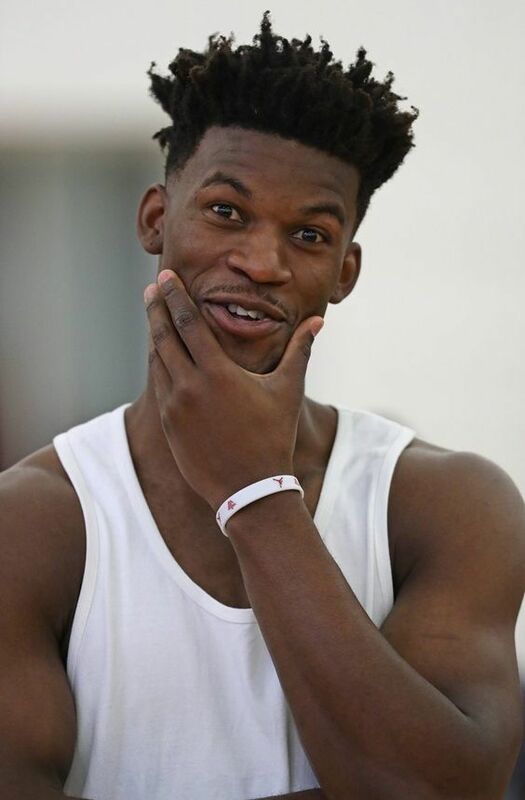 Jimmy Butler recently traded from the Chicago Bulls to the Minnesota Timberwolves, but the thing which remains as it is his hair. Butler set his hair in almost same style like curs, locks on the top or low skin fade with short twists. The hair on crown get shorter or longer, tighter or twisted looser but the complete look is the same. 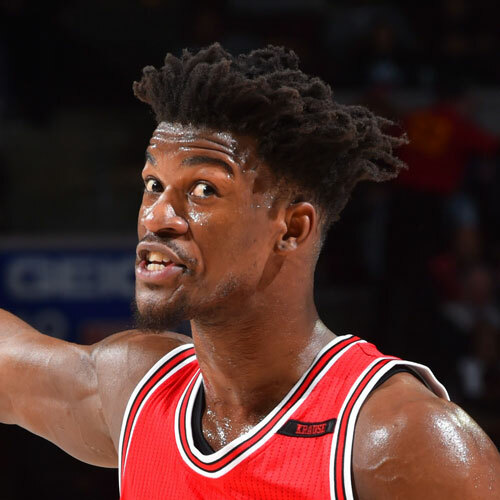 Let’s check out a few of Jimmy Butler best haircuts which you can try to look stylish. 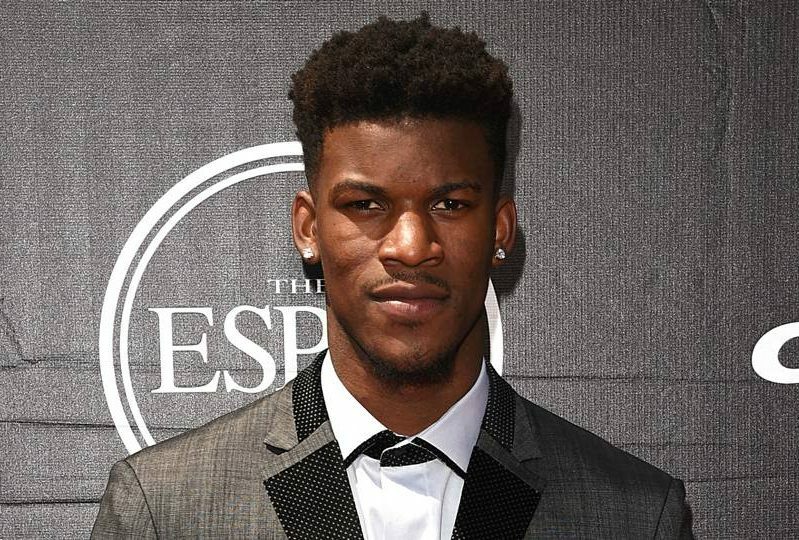 We try our best to collect all the famous haircuts of Jimmy Butler. He wears this haircut on ESPN Awards in 2015. It is one of the shorter haircuts of jimmy butler since now. It has a cool fade on the sides and amply of curl texture on the top in a shape of a circle. Before anyone wants to set fade haircut, they must have to start somewhere. 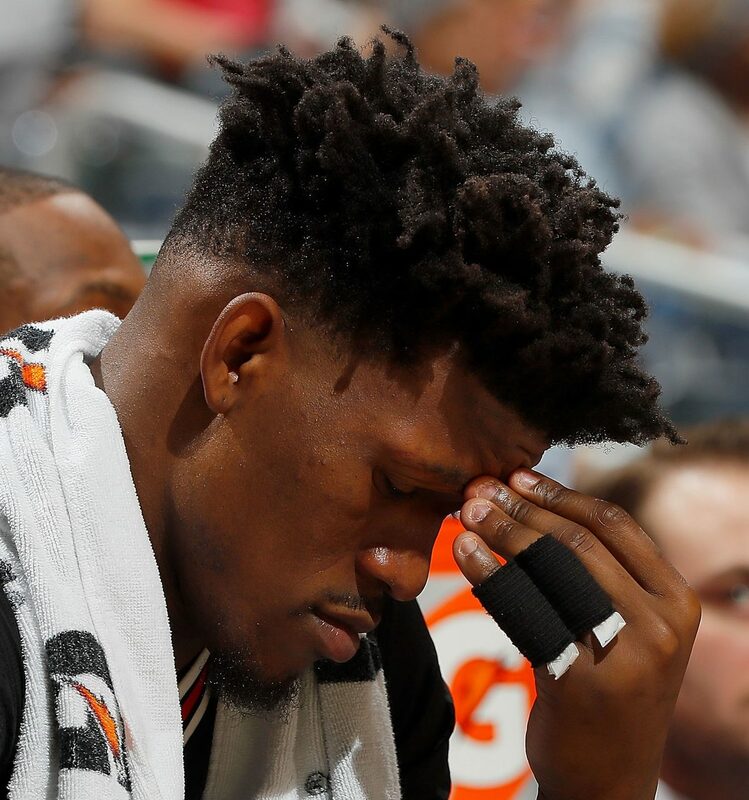 And this haircut of jimmy butler is a symbol of new beginnings. Some may choose to grow hair at a certain length before setting this classic pre-fade haircut. This haircut has one thing in common that is smooth and clean lines. If we look this jimmy butler’s style from the side, we will find the low skin fade which is more noticeable. The sideburn generates a sharp edge look, and the hairline is cut precisely. 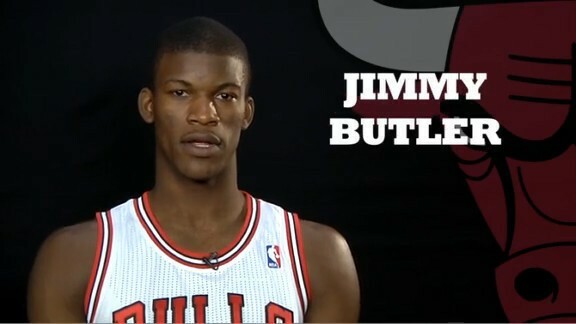 This freestyle fade haircut of Jimmy Butler is maybe puzzling for those who do not know the type of natural hair. His hair is of category 4C hair which is the kinkiest of the natural hair type family. 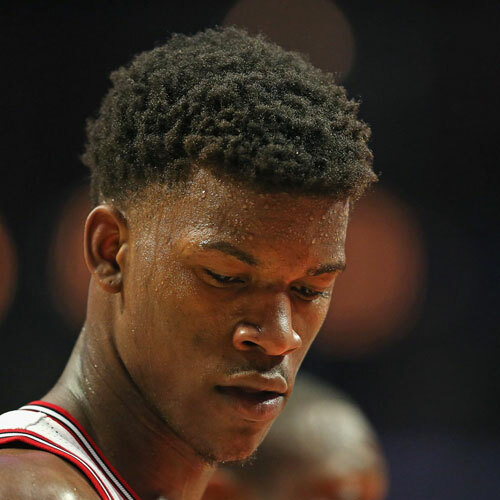 Jimmy Butler’s rough hair is no longer undergoing fixed trims, but instead, his hair is twining under its accord. It is the latest look of jimmy butler of year. Wearing this style is easy. From extra-long to short dreadlock styles for black men, it runs the range of styling possibilities. Whether you have worn dreadlocks for years or want to begin the dread journey, these pictures of butler will surely provide some inspiration for your dreadlocks. Jimmy Butler’s layers haircut grows through varying lengths, and as seen in this picture. This hairstyle also indicates layers. It is all possible due to the thickness of his natural hair. Jimmy Butler’s hair has in multiple rows of twisted, coiled layers, which also helps to wear this haircut. 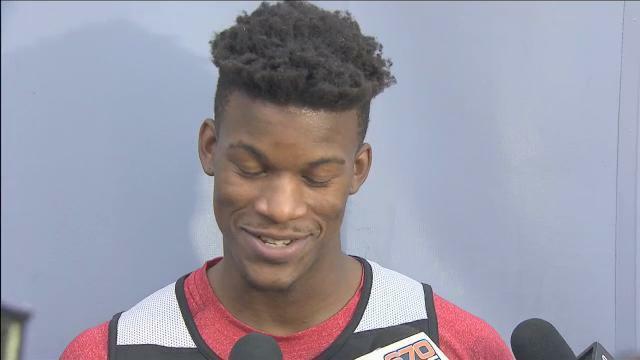 It is one of the best haircuts of jimmy butler. To set this haircut, your barber needs a high level of skill. Although it is laborious, the results are impressive. An Afro fade is a haircut categorized by a gradual hair tapering, but more inventive than the other types of fade. It will give a clean and fresh look with wearing any other style at the top. 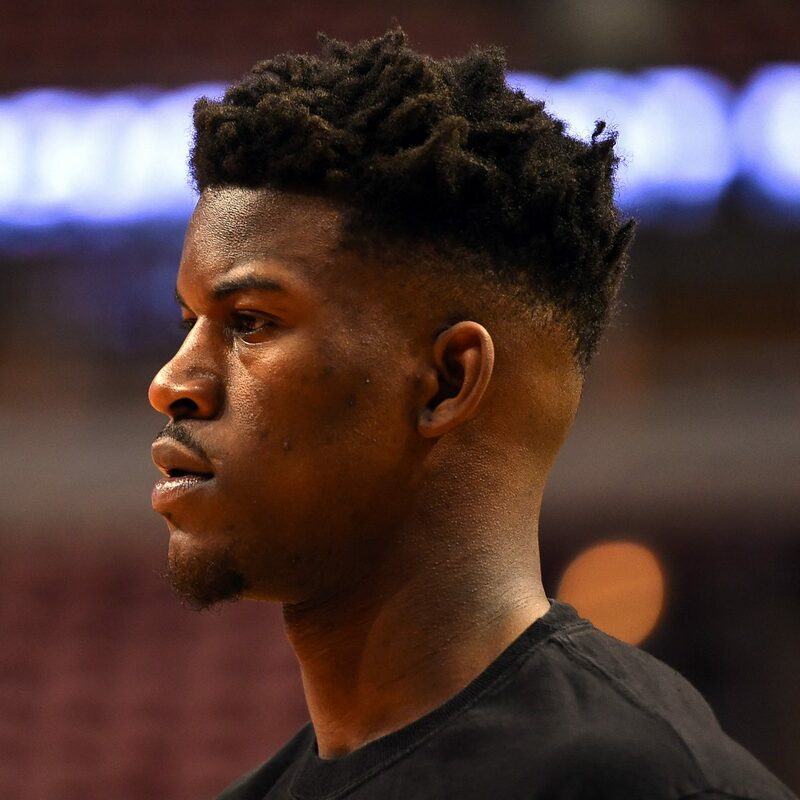 These are the best Jimmy Butler’s haircuts which are most famous and took shape over the years. Hope you like his different style and this article, too. Thank you for your consideration and cooperation. How to Grow Your Hair Out Men?